As I started my Sunday routines it occurred to me that now is a great time to buy in Harlem – as many past, present and future posts in this blog will attest. Businesses continue to invest in the neighborhood. A steady influx of people continue to arrive and yet it is never packed. There are plenty of parks, cultural institutions, entertainment options, and restaurants. 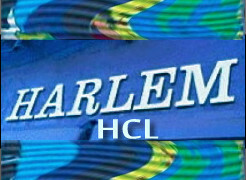 Harlem is featured regularly in the press as reported in HarlemCondoLife: NYT, Voice, etc. The seesaws in the stock market indicate it is looking for and finding a bottom. Experts like Warren Buffett are saying so and buying. Banks are lending to each other again. A momentous election is on the horizon and elections are generally good for the economy. Wall street banks are expected to pay out bonuses this year – which always helps the market. Shake the blues – come join us in Harlem! There are many fha approved condos in Harlem. A qualified first time home buyer may buy with very little down (3-10%). With the $8,000 tax credit its a great investment. Mortgage interest is still tax deductable.I can email you a list of these condos.